This is the first in a series of posts on wedding photo ideas. Having gone through the process of being a bride, I’d like to share some ideas on how to incorporate your favorite photos into your wedding projects – pre-wedding, on your wedding day and post-wedding. If you want to see a roadmap of where this series is going, check out my overview. Recently my husband and I had the privilege of being asked to witness our friends’ proposal. The future groom felt that having all their friends around him and his future bride would be the perfect backdrop for a special proposal – and it was. We all hid while the unsuspecting fiancée-to-be was brought to a famous local landmark and we literally jumped in to capture the unforgettable moment. We all posted our photos on Facebook and on our blogs. Congratulations and well-wishes were circulated around. I think a great idea would be to compile all the photos of the proposal along with printouts or screenshots of all the congratulatory messages and blog posts and put them in a photo book. That way, after the transitory nature of social media has passed, you have a record of all of the excitement surrounding your proposal. Even if you don’t have photos of your fiancé getting down on one knee, I’m sure you have photos of you and your fiancé shortly afterwards, and your ring of course. 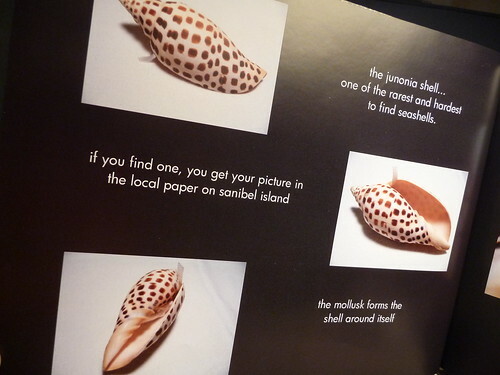 My fiance, knowing my “slight” obsession with seashells hid the ring inside a rare shell he had bought a while back unbeknownst to me. 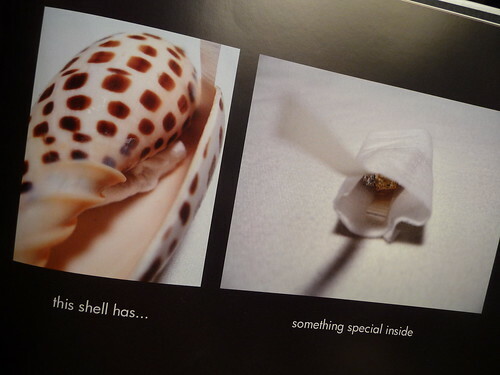 He then hid that shell among the other shells in my collection, hoping that I would find it. I noticed it right away, which our friends and family always laugh about as they wonder what would have happened if I hadn’t seen it. He knew well enough that his bride-to-be, would notice if her collection had been altered somehow! After my fiancé’s proposal, he surprised me by whisking me off on a trip to Wrightsville Beach, North Carolina where he planned an entire weekend of doing my favorite things. The whole weekend was full of surprises and was unforgettable and we took a lot of photos of our trip. The one person whom I knew would be most excited about our engagement was my grandmother. I’ve spoken about her in prior posts. She is 98 years old and is a great great grandmother – the amazing matriarch of five generations. Before our engagement, my parents and brother and I had a pre-planned a trip to visit her overseas. My fiancé unfortunately couldn’t make it on the trip, but he had the foresight to take photos of the process of him hiding the ring and we were able to put together a storybook photo book of how he planned his proposal. The rest of the photo book was made up of some photos of our trip, pictures of an engagement party thrown by my family and photos of my fiancé’s family. 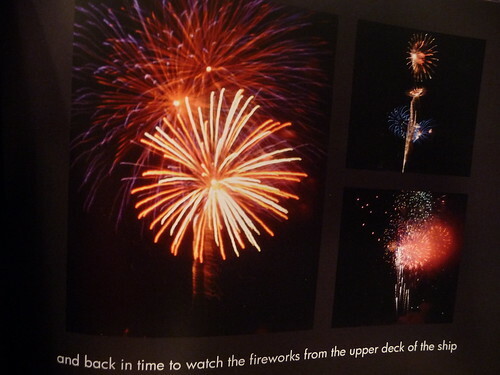 The photobook was a big hit with granny and my numerous aunts, uncles and cousins. It made it a lot easier to retell our proposal story and as they say, “a picture is worth a thousand words. I have to give some credit to Oprah who offered her viewers a free Snapfish photo book last year – I figured our engagement was a great topic for my free photo book. You can read my Snapfish review or check out my Snapfish overview. If you’re ready to make a photo book, check out these deals first – might as well get a discount! Another great opportunity to show off photos of the lovely couple is a wedding website. I don’t know what the statistics are on how many couples opt to have a wedding website, but I’m sure that it’s very common nowadays, especially in the last few years. You’ll want to gather your cutest photos as a couple, photos of your friends and family, and bridal party. My husband and I purchased a template online for about $60.00 and customized it ourselves, but there are several websites out there providing free wedding websites, so cost is not an issue. One such site offering free website templates is WeddingWire.com I contemplated using them as I was already using their awesome free wedding planning tools to enter guest information, create seating charts, keep track of registry gifts and our budget, but as we wanted to use our wedding website pretty extensively, we wanted to have more control over its features. We sent out the address to our website to friends and family as an electronic “Save the Date” and it was a great way to keep our guests up-to-date on all aspects of our wedding. Importantly, we encouraged our guests to RSVP via our website (saves trees and postage!) We still however included traditional RSVP cards and stamped envelopes for some friends and family who may not be comfortable with the internet, but surprisingly even a good number of them opted for the website RSVP. Our flash based wedding website. Other pages on the site included a section on how we met, info about us individually (which was helpful for the groom’s side to learn about the bride and vice versa), a customized Google map with the weekend’s venue’s and guests’ hotels, links to our registry, the latest hotel deals, a section of our “must sees” and “must eats” and of course a photo gallery! Doing a custom website was a lot of work, but I enjoyed it. I’ll tell you how we utilized our website post-wedding, in Part 3 of this series to come. Our guests could opt to RSVP on our site. Coming up next in my next photo ideas post will be Save the Dates and Photo Wedding Invitations as well as the Engagement Photo Book! So what are you waiting for – select your favorite photos of you and your fiancé and start planning! See other posts related to Weddings & Brides. If you want to use a neat NEW tool to help you find the right photo book publisher for you, try out our Photo Book Software Wizard! It’s so cute how your husband proposed! Very happy to see all your wedding experience throughout your website! Just got engaged, and thinking of all the things I can do for our wedding! Photography is really important between the both of us, and I know we’re going to have it be a major theme in our wedding. Ahhh soo much to do! I enjoyed viewing your blog. I’ve got many wedding ideas here. I can use these ideas in my business. thanks! Love this idea of proposal photos, especially the book. Thanks for sharing! Excellent idea. I came across your website as I was researching the best wedding photography books and this is a very interesting find for sure.